At 93 feet tall the Yaquina Head Lighthouse is Oregon's tallest and also it's second oldest continuously operating lighthouse. The lighthouse is located on a headland jutting out into the Pacific Ocean. This tall brick tower is a cousin to the Bodie Island Light in North Carolina and Pigeon Point Light in California as they were all built from the same design. 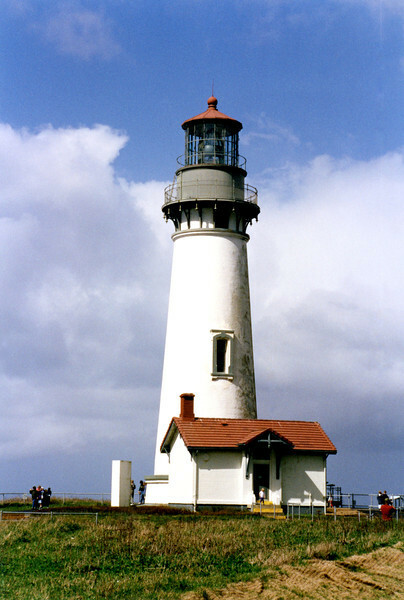 Construction on the Yaquina Head Light was begun in 1871. The U.S. Army Corps of Engineers used 370,000 bricks which were shipped from San Francisco to build the tower.